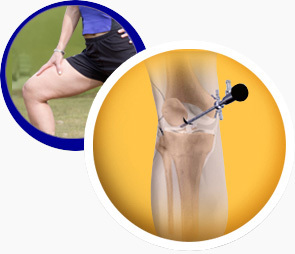 Knee arthroscopy is a common surgical procedure in which the knee joint is viewed using a tiny camera. This procedure allows the doctors to have a proper view of the inside of the knee accordingly helping them to diagnose and treat the problem. Arthroscopy is done by making small incisions into the body. 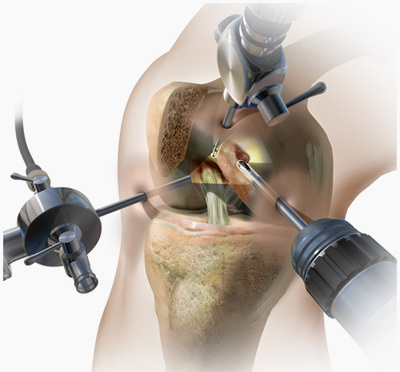 An orthopedic surgeon inserts the arthroscope into the knee joint, which sends photographs to a monitor. The surgeon is now able to see the knee structure minutely in the monitor. The doctor can repair and remove any damage tissue if required by making other incisions around the knee and inserting small surgical instruments. If you are suggested to go for knee arthroscopy surgery, you would require getting a full body checkup done by your family physician before the operation. He would assess your physical condition and suggest accordingly if there is anything that could interfere with the surgery. It is also important for you to let your surgeon know about any medicines or supplements that you are taking. He may have something to say and may ask you to stop or start certain medicines. It is also possible that he runs a few pre-operative tests on you including EKG or blood counts. 3) WHEN KNEE ARTHROSCOPY IS SUGGESTED? As with any kind of surgery, knee arthroscopy also has its own share of risks involved. However, the chances are quite low and mostly minor and easily treatable. Apart from a ligament reconstruction surgery, any knee arthroscopy patient can get back to doing regular physical activities after 6 to 8 weeks and sometimes even sooner. However, activities requiring much physical strength need to be avoided for a longer period. You ought to talk to your surgeon to know when you can start intense physical activities. The final result of the surgery would very much depend on the degree of damage to your knee. For instance, if the articular cartilage in your knee has completely worn away, it is not possible to get full recovery. Moreover, you need to make changes in your lifestyle, which means limited physical activities and doing low-impact exercises.